The Huawei P20 Lite features a vertical dual camera setup on the back and its display makes it look a lot like the iPhone X. If the rumors turn out to be true, it will be unveiled by the end of March. Even if some of the handsets that everyone expected to arrive at MWC 2018 miss this event that kicks off at the end of February, at least some of them are expected to be unveiled before this year's April arrives. 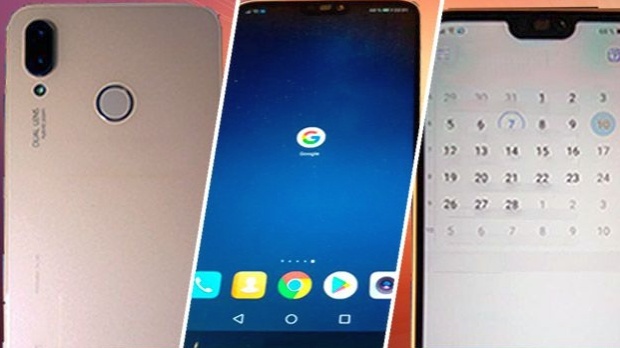 One of these devices seems to be the Huawei P20 Lite, a more affordable and probably a bit smaller variant of the upcoming Huawei P20 flagship. Recently spotted on FCC, the Huawei P20 Lite has been apparently caught in the wild (and photographed, of course) as well. Unlike the three-camera Huawei P20, it only has two cameras on the back, but they are also positioned vertically. Anyway, since the P20 is expected to feature three 40 MP cameras with Leica optics, we cannot hope for more than a dual 16 MP setup for the Lite variant. OK, maybe 24 MP if you want to be optimistic, but obviously without Leica optics. A rather awkward detail that is clearly visible in the leaked images is the similarity between the P20 Lite and the iPhone X. Yes, I am talking about the notch at the top of the display. Although there is no information about the other specs to talk about, expect at least a HiSilicon Kirin 659 processor, 4 GB RAM, at least 32 GB storage, Android 8.0 Oreo-based firmware out of the box. These being said, you should enjoy the short movie below. We can only hope that these renders are on spot and maybe there is still a chance for Huawei to make some last-minute changes so they avoid releasing another iPhone X copycat, because there are already way too many of those clones around.